Tai Chi for Kids, homepage, workshops, movements, buy here, video, contact, special needs kids. Tai Chi works on the inside of the body and helps us feel peaceful and focused. 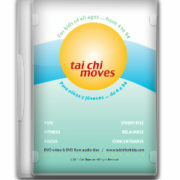 These Tai Chi programs have an online video or a DVD to learn the moves. They also have an audio CD or downloadable MP3 file so you can use just the audio for regular practice. It is easy to use as many or as few Moves as you want and in any order. The most effective practice is done without the video. When we focus on a screen our energy goes to the screen. With the audio only we can close our eyes at times and focus inside, feeling the inner peace and relaxation. But, of course, the video is there to learn the moves. In-school workshops include classroom demonstrations as well as professional development programs. Video conference workshops can be arranged for parents, children, teachers and other professionals. Tai Chi es un ejercicio para mejorar la energía a todas partes del cuerpo. Cada movimiento ayuda a dar más fuerza y paz a los órganos. Uno siente la energía en los músculos y las articulaciones mientras se siente mas relajado.